What to wear to work sometimes leaves people at a loss especially women. Imagine waking up in the morning and staring into a closet filled with all types of outfit and yet you can’t seem to find what to wear. Well this situation happens to almost everybody, many times we find ourselves at a loss, there isn’t any inspiration or motivation whatsoever and we just pull up anything we can find and rock with that. Today, on our work outfit series we will be focusing on one piece and the different ways you can rock this piece to work. This idea is to help you navigate through your closet in peace. 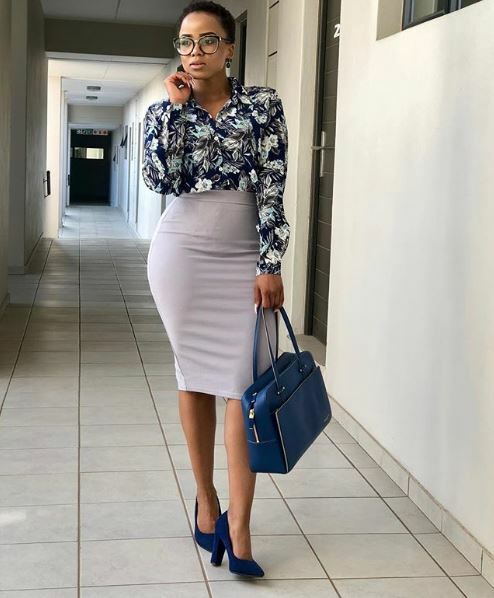 This piece is the “Pencil skirt”, the pencil skirt is one of the most famous pieces for work, every woman has one and it doesn’t matter when it comes to size. The pencil skirt is highly versatile because it leaves room for great styling options. It’s variety of styling options makes it a must have wardrobe staple and it has been the most flattering skirt in the market and there so many different ways to style your pencil skirt, to find out how you can create a great look with your pencil skirt take some cue from these stylish ladies below. Be inspired.